Nintendo sprung a surprise by announcing the availability of popular game, Animal Crossing, on iOS and Android app stores for free. The company aims to capture both console and smartphone gamers with its offerings. Much to the delight of fans, Nintendo has announced on its official Twitter handle that popular game, Animal Crossing, is now available as Animal Crossing: Pocket Camp on iOS and Android app stores for free. This comes in the wake of other smartphone game releases by the Japanese company such as Super Mario Run and Fire Emblem Heroes. 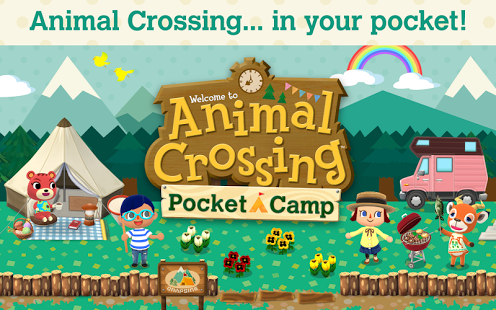 Animal Crossing: Pocket Camp is a toned down version of the traditional 3DS campsite game with lesser characters and a smaller camp to manage. The game offers sub-objectives and fosters communication between the character you play and the talking animals in the map. The better the communication, the higher the resources that can be gathered to upgrade the camp. It is a very simple game and will certainly appeal to those who prefer a relaxed gaming experience. Nintendo has kept the game free-to-play. There are 'leaf bucks' that can be bought for real cash but apparently one can continue playing just fine without coughing up any money. Nintendo is probably looking to capture both console and smartphone gamers by making its popular titles available on app stores. The 'pocket' editions of these games could be limited in objectives but can definitely create interest in gamers for full fledged console versions that offer even more capabilities.